this time i'm showing you my latest finished mini. It's Tarian, sculpted by the massive monkey Badsmile for Jester Miniatures. I saw this guy on Romans desk and i liked it, so i took a day off my Games Day Project and gave this little fella some paint. 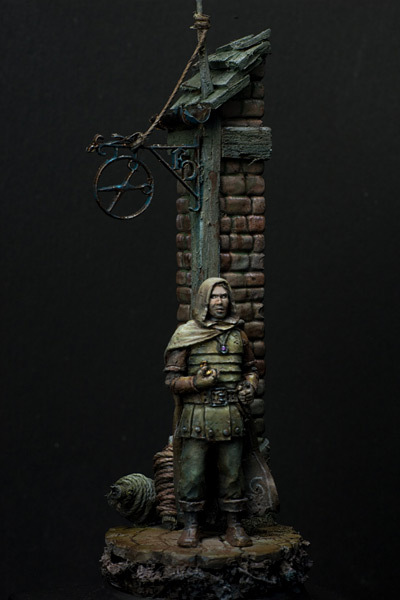 For the base i used one of Cryptlocks gaming bases, some stuff for railway trains, wood and some yarn.